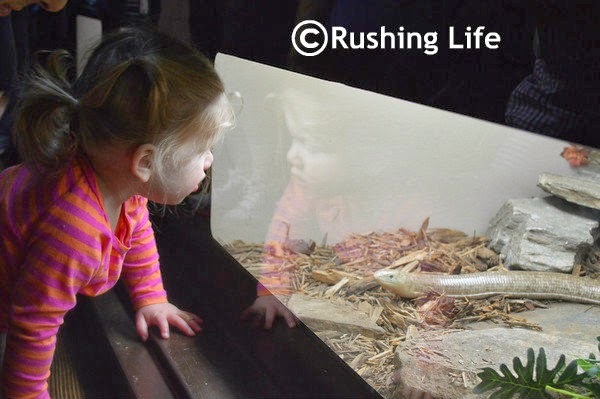 Rushing Life: Zoo, Zoo, Zoo! A few weeks back, we had an absolutely gorgeous Sunday. I'm talking temps in the 60s and sunny and just perfection. I decided it would be a good time to take Bimmer to the zoo. When you ask her if she wants to go to the zoo, she makes this huge excited face and vigorously shakes her head YES! Then she starts saying animals like monkeys, and bobos (birds). 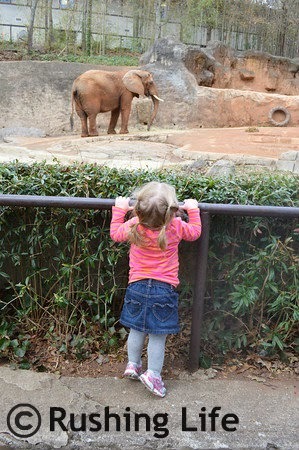 And she would make a noise like an elephant. It was a quick and easy visit... we didn't spend time dwelling at all the exhibits. 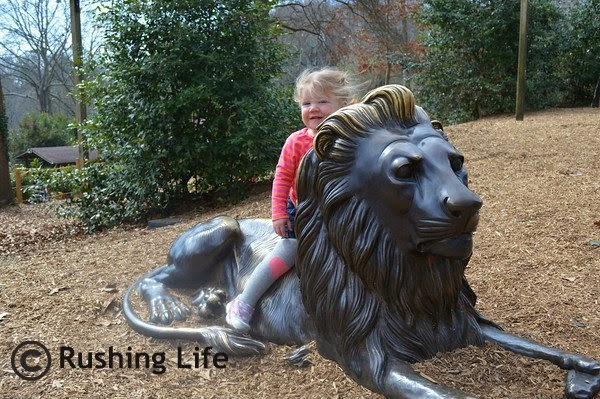 (Thankfully it's a small zoo and we can easily return later this summer.) But it was a sweet, fun, family afternoon. And Bimmer learned that she loves snakes. Who knew?!? !